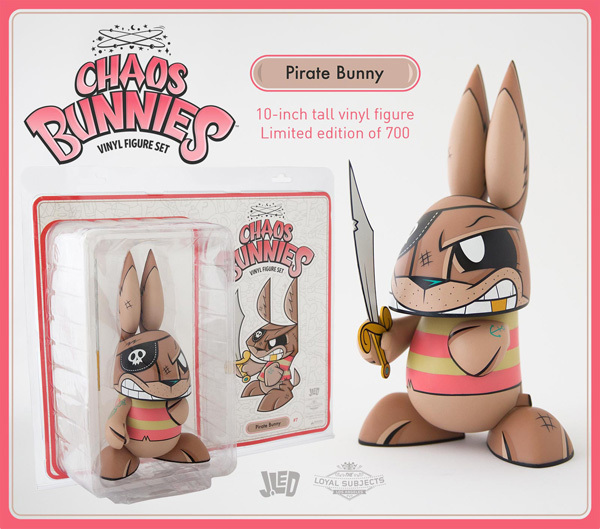 The latest piece of vinyl bad assery from The Loyal Subjects just hit digital shelves today (noon PST), so get your buying fingers warmed up. 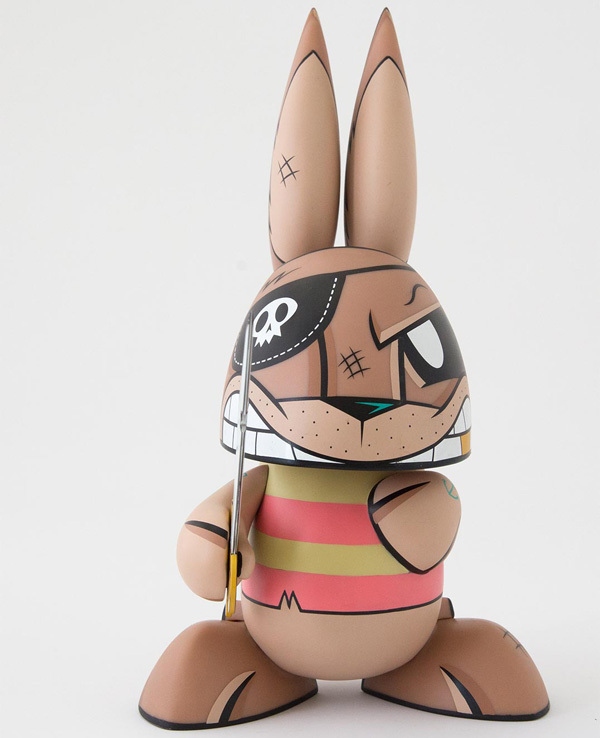 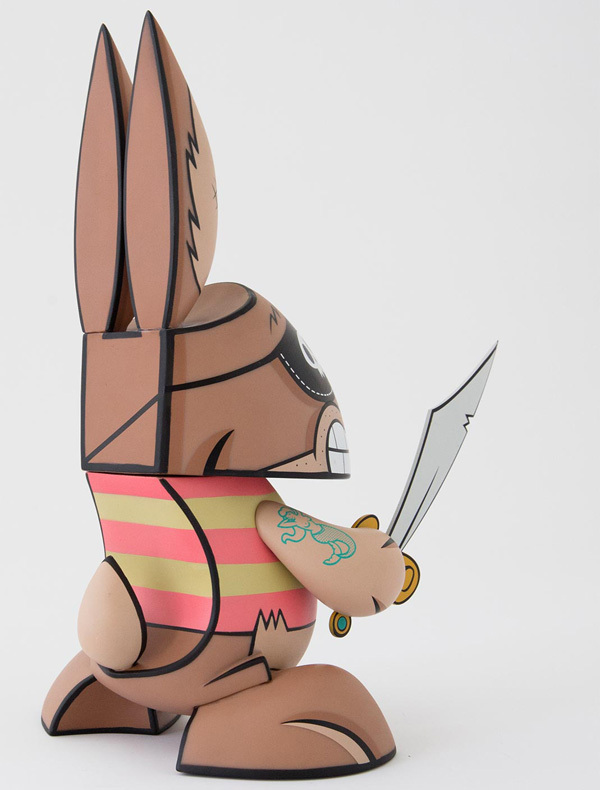 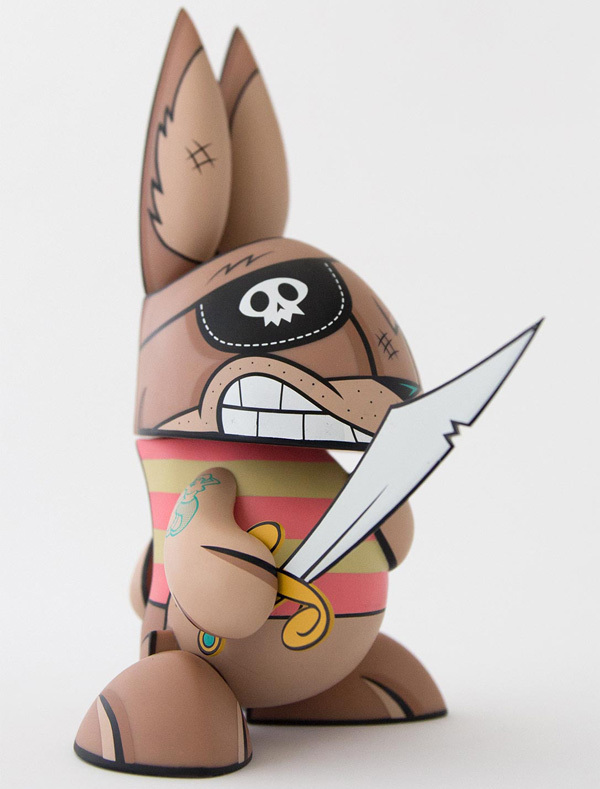 Their Chaos Bunny collection — designed by the great Joe Ledbetter — continues to grow, this time with a swarthy character dubbed Pirate Bunny. 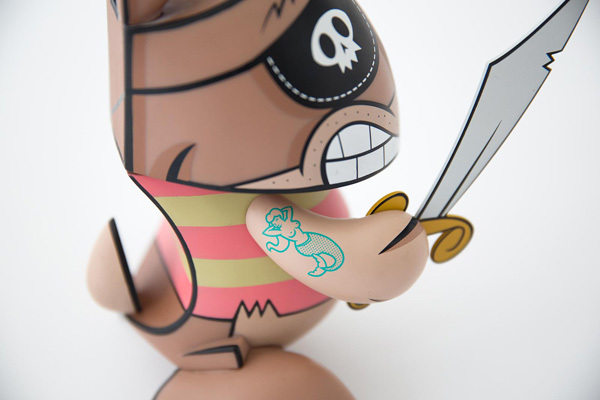 The eye patch donning, sword swinging, tattooed, one-eyed, gold-toothed buccaneer rodent is a full 10-inch large and features an articulated arm — the better to chop hapless carrots heads with. 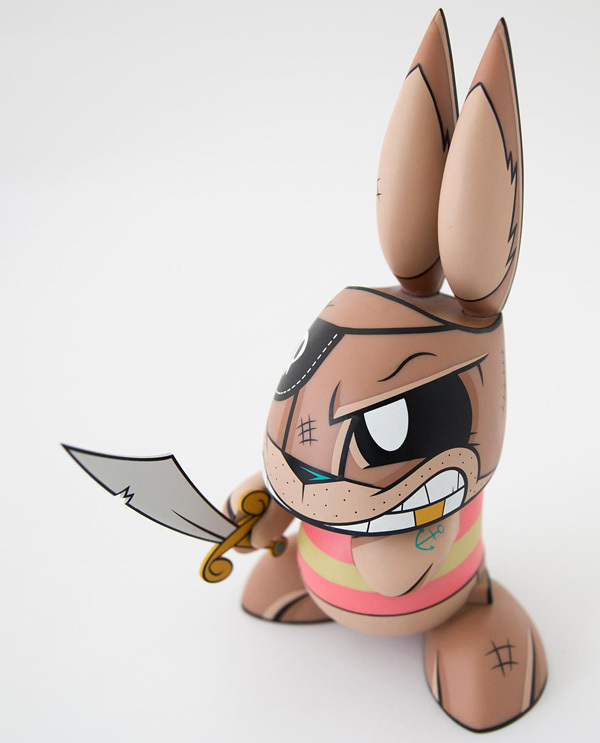 Only 700 figures will be made, so get yours quick for $125.